If you’ve got ambitious plans, a unique layout, or simply don’t like what’s on the market, custom cabinetry can be the perfect solution to a home renovation. Yet working with a custom cabinet maker is somewhat different from hiring a contractor to install cabinets. Here’s what you need to know when considering custom cabinetry. The main advantage of custom cabinetry is the ability to control every aspect of the design, down to dimensions, wood choice, and millwork. This is a perfect solution if, say, you’re doing a kitchen addition and need to blend new cabinets to look like the old ones, or you want a custom solution for your Hudson Valley vacation home. Custom cabinets use the space more efficiently that stock cabinets, which come in certain sizes. To fit stock cabinets to your wall, you need to use the sizes that cabinets come in, plus spacers that create a tight fit. This adds up to a lot of unused space. With a custom solution, you can leverage every square inch, to get a lot more into a small kitchen. What are the Disadvantages of Custom Cabinets? Custom cabinets are more expensive than stock cabinets, since they’re designed just for you. However, custom cabinetry holds up over time, whereas stock cabinet features may fail. In terms of longevity, custom cabinets are well worth the extra cost. The major drawback of custom cabinetry, then, is the time it takes. A designer will spend a lot of time working with you on a cabinet solution, so you can’t move forward with a fast remodel the way you can with stock products. Allowing proper time for design and planning is essential. A cabinet maker should be able to work with your budget, for instance by using less expensive materials if you need to save money. If you’re worried about money, this project may be more cost-efficient than you originally thought. 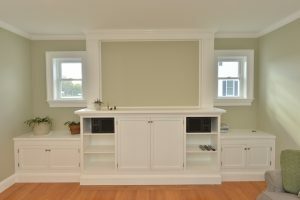 Where Can You Use Custom Cabinets? Custom cabinets aren’t only for the kitchen. You may find they’re the perfect solution for your bathroom, walk-in closet, pantry, storage space, garage, hallway, mudroom, laundry room, dining room, home office, and more. 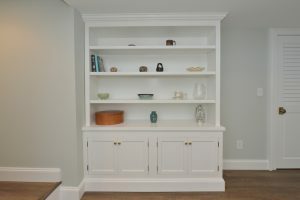 If you’re curious about custom cabinetry from Kehoe Kustom, we’re more than happy to show you our portfolio of completed projects. A good custom cabinet maker will spend a lot of time in your home, talking with you about your vision and needs. During the design phase, they may recommend solutions for your space based on their experience. They should always be able to explain what they’re recommending and why it’s a good idea. Also, they should answer any questions you have. Next, they’ll use modeling software to develop a 3D rendering of your project. Based on the realistic 3D rendering, you can see how everything would look. Then if needed make changes before your cabinets are created. Once everything is settled, the cabinet maker will move forward with construction and installation. 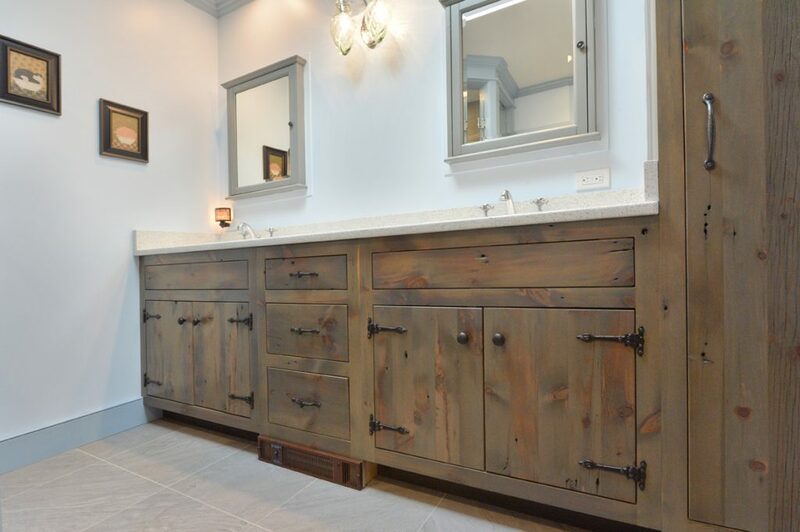 At Kehoe Kustom, we do custom cabinetry in the Hudson Valley and the tri-state area. If you’d like to learn more about our cabinetry, or get a quote for your needs, contact us today.